Mickey Mantle was one of my boyhood heroes. Even if you didn’t like the Yankees, you had to love the gregarious blond switch-hitter, who knocked the ball out of the park 536 times and won seven World Series. He played as hard off the field as on, and years of alcohol abuse eventually caught up with him. In 1995, his liver damaged by cirrhosis, hepatitis C, and cancer, he underwent a liver transplant. But the cancer had spread, and he died a few months later at age 63. Although relatively few suffer the extent and severity of problems that plagued Mickey Mantle, one in four Americans have some degree of liver disease. It may go unnoticed, as in early stages there are no symptoms. However, liver disease is often progressive, and unless steps are taken to stop the damage and regenerate the liver, you could be facing serious challenges down the line. The first stage, called fatty liver disease, is characterized by accumulation of fat in the liver. Virtually all heavy drinkers have these fatty liver deposits, but the primary cause in the US is our expanding waistlines. Insulin resistance, metabolic syndrome, and diabetes, which go hand-in-hand with obesity, also increase risk. Experts estimate that 70 million Americans have nonalcoholic fatty liver disease (NAFLD). The next stage—where real problems begin—is nonalcoholic steatohepatitis (NASH), which is marked by inflammation and scarring. People with NASH may in turn develop cirrhosis, with excessive scar tissue, or fibrosis, that impairs function and often leads to liver failure. At that point, the only hope is a liver transplant. Fortunately, the liver has a remarkable capacity to regenerate, if it’s given a chance to heal. 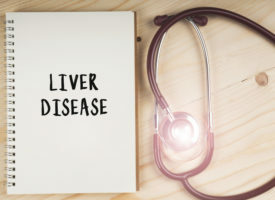 Alcohol-related fatty liver typically resolves within six weeks of stopping drinking, and lifestyle changes and nutritional therapies can reverse early-stage nonalcoholic liver disease. You’re probably familiar with foie gras, a French culinary delicacy made by force-feeding ducks or geese large amounts of corn, which causes their livers to infiltrate with fat. That’s an extreme version of what we’re doing to ourselves with our epidemic of overeating and obesity. All that extra fat has to go somewhere, and the liver is a prime target. Fructose, which is found in thousands of products, is especially harmful as it ramps up fat production in the liver, and many of our dietary indiscretions—such as drinking sodas—is like mainlining fructose. Other sugars aren’t much better, nor are starches, as they too are converted into sugar and then into fat for storage in the body. Lifestyle changes are a terrific natural treatment for liver disease. Losing weight and replacing sugars and starches with lean protein, vegetables, and healthy fats “slim down” the liver and help it regenerate. Cruciferous vegetables such as broccoli, Brussels sprouts, cabbage, and kale as well as onions and garlic are especially beneficial as they contain sulfur, a mineral required to produce glutathione, the dominant antioxidant in the liver. Studies suggest that coffee also protects against damage in nonalcoholic fatty liver disease, and drinking more than two cups per day reduces risk of death in patients with cirrhosis. On the supplement front, antioxidants are particularly important when it comes to treating liver disease. The liver gets rid of toxins and waste products by converting them into safer substances that can be eliminated from the body. During this process, large amounts of free radicals are generated, which must be neutralized by antioxidants. One reason why alcohol, viruses, acetaminophen, and other toxins are harmful to the liver is because they deplete the liver of glutathione and other protective antioxidants and overwhelm the system. I especially recommend vitamin C, alpha lipoic acid, and N-acetylcysteine because they boost production of glutathione. Vitamin E has also been shown to slow progression of fatty liver. And silymarin, a flavonoid in milk thistle with a long history of treating liver ailments, reduces inflammation and helps regenerate liver cells. Berberine is garnering attention as well. Chinese researchers compared the effects of lifestyle changes alone or in combination with either pioglitazone (a diabetes drug) or berberine 500 mg three times a day. After four months, the berberine group had the best outcomes, with a 57 percent reduction in liver fat content and improvements in weight, insulin resistance, and lipids. Hepatitis C, the most common viral infection of the liver, is another condition that often goes undetected for decades, which is why it’s a leading cause of cirrhosis and liver failure. Until recently, conventional medicine had a dismal track record treating this liver disease. In the last two years, however, several wonder drugs, which eradicate the hepatitis C virus in over 90 percent of patients, have been approved. But there’s a hitch. These prescription drugs cost as much as $1,125 per pill, or $94,500 for a 12-week course. If you were my patient, I wouldn’t hesitate to prescribe these medications. But I’d also start you on triple therapy, a natural treatment for liver disease that combines alpha lipoic acid, silymarin, and selenium, an antioxidant that suppresses the replication of the hepatitis virus. This protocol is the brainchild of Burt Berkson, MD, who has used it to successfully treat hundreds of patients with liver disease. We have similarly good results at Whitaker Wellness, and I have patients with hepatitis C who’ve been holding steady on these supplements for years, with low viral counts, normal liver enzymes, and excellent quality of life. Mickey Mantle once said, “If I knew I was going to live this long, I’d have taken better care of myself.” Take his advice. 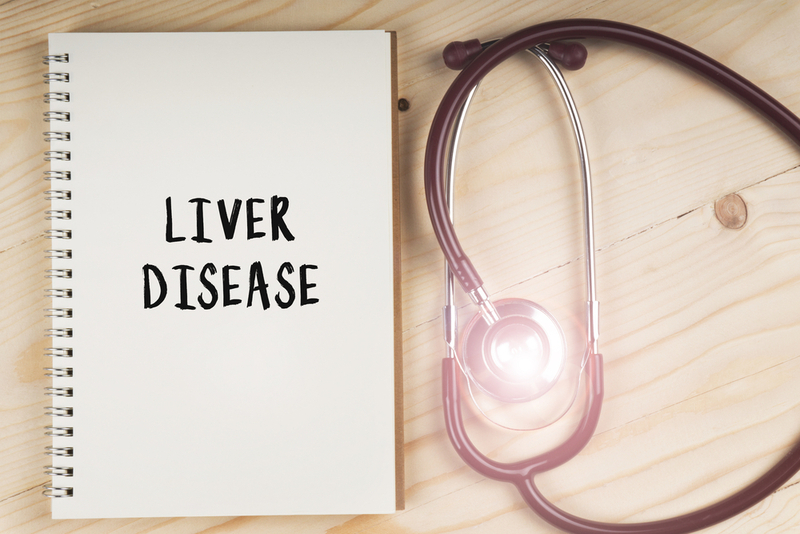 It’s never too late—or too early—to take steps to protect and regenerate your liver. For optimal liver health, go very easy on alcohol, lose weight, drink coffee, avoid fructose and other sugars and starches, and eat lots of sulfur-rich cruciferous vegetables, onions, and garlic. Suggested supplements for liver disease and liver protection include alpha lipoic acid 600 mg, N-acetyl-cysteine 600 mg, silymarin (milk thistle extract) 900 mg, vitamin E 200–300 IU, vitamin C 1,000+ mg, and berberine 1,500 mg. Triple therapy for hepatitis consists of silymarin, alpha lipoic acid, and 400 mcg selenium per day. Take with meals in divided doses. These supplements are sold in stores, online, and from the clinic by calling 800-810-6655.